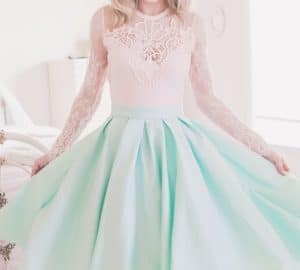 In this blog post, I am discussing the Aries woman, born between March 21 and April 19, in my How to Dress for Your Zodiac Sign series. and can be very self-oriented. Aries tend to venture out into the world and leave impressions on others that they are exciting, vibrant and talkative. Aries tend to live adventurous lives and like to be the center of attention, but rightly so since they are natural, confident leaders. Aries are enthusiastic about their goals and enjoy the thrill of the hunt, “wanting is always better then getting” is a good way to sum it up. Aries are very impulsive and usually do not think before they act – or speak. Too often, Aries will say whatever pops into their head! 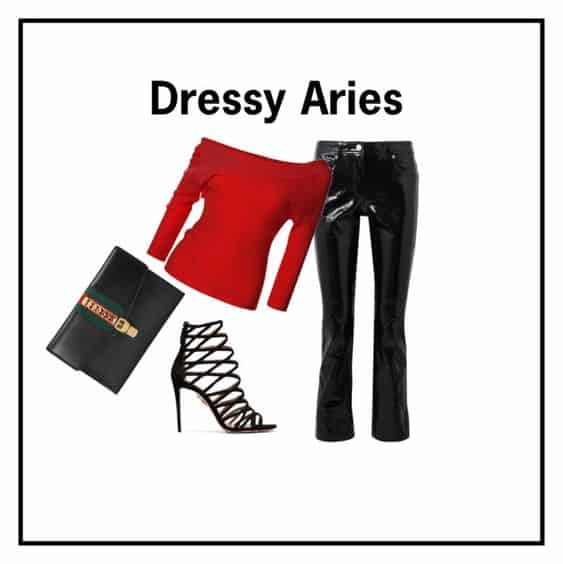 The Aries woman is a master of the classics, but she can easily transition to street-style cool. Stylistically, an Aries woman can go from 0 to 100 quite quickly and in all the right ways. 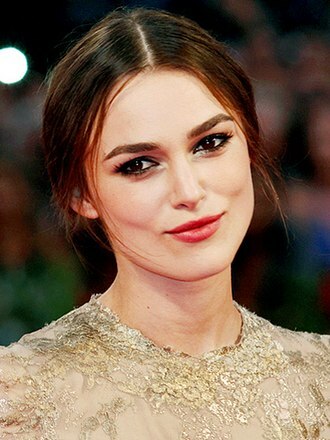 She is the master of creating a seamless look that takes her from desk to date and from date to a weekend out with friends. She is the chameleon of the fashion world! This year focus on the Aries’ woman’s basics so she can keep up the good work. This is very interesting. I never thought about how to dress someone based on their astrological sign. It definitely makes sense though with the celeb examples you provided! Learning about your star sign can be so much fun, as long as you don’t use it as an excuse for your flaws. As a Virgo, I’ve read many things about myself that I do NOT believe, but I still think horoscopes can be fun. I’ll have to look up some style inspiration for us fellow Virgos! 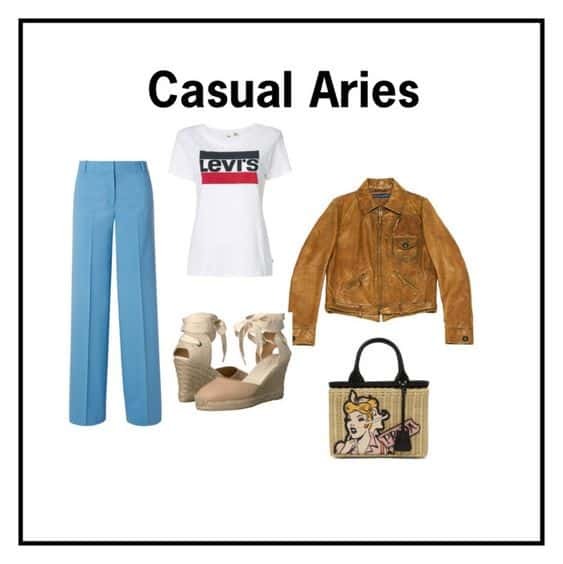 I’m an Aries and I would totally rock that casual look. However that dressy look everything but those pants lol I am more of a hippie dippie type of Aries hahaha. Love this post!